Pediatric Summit 2019 will be an innovative and informative International conference reflecting the direction of Pediatrics in the 21st century and offers a wide range of diversions to participants of all backgrounds. This Pediatric conference provides an excellent opportunity to discuss the latest developments within the field. 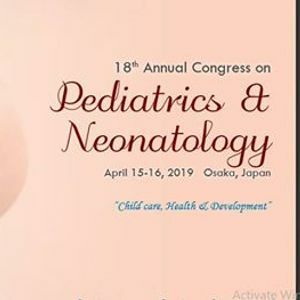 Pediatric Summit 2019 aims at sharing new ideas and new technologies amongst the professionals, industrialists and students from research areas of Pediatrics, Pediatric Oncology, Pediatrics Hematology, Pediatric Dermatology, Pediatric Gastroenterology, Pediatric Allergy, Pediatric Cardiology, Pediatric Orthodontics, Pediatric Neurology, Pediatric Nephrology, Pediatric Endocrinology, Neonatology and Perinatology, Pediatrics Radiology, Pediatrics Urology, Pediatrics Nutrition, Pediatrics Psychiatry etc. to share their recent innovations and applications in various fields and indulge in interactive discussions and sessions at the event. The Conference will also have a space for companies and/or institutions to present their services, products, innovations and research results. 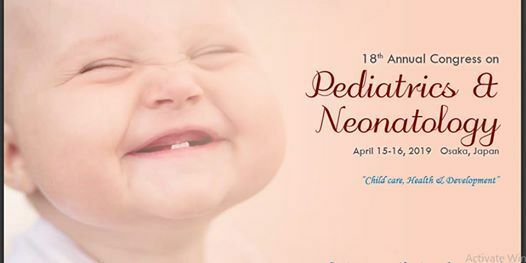 18th Annual Congress on Pediatrics & Neonatology offers an exclusive opportunity for investigators across the globe to meet, network, and perceive new scientific innovations. This international Pediatric Conference also encourages the active participation of young student researchers as we are hosting Poster Award Competition and Young Research Forum at the conference venue. Pediatric Summit 2019 is an international stage for presenting research about different areas of pediatrics and current technologies used for the betterment of child health. Thus, contributing to the distribution of knowledge in pediatrics and child health for the benefit of both the academia and business. This is a great opportunity to influence the large number of participants from the Pediatrics community. World Renowned Speakers, the most recent techniques, developments, and the newest updates in Pediatrics are features of this conference. All over the world, parents are becoming more conscious about the health of their children. As a result, globally the pediatrics market is growing at a significant pace with companies scrambling to get a significant share of the market. The Pediatric Summit 2019 provides the scope for opportunities to learn about new discoveries and technologies developed by knowledgeable scientists and academicians. Pediatric Summit 2019 offers excessive quality to suit the diverse professional development of medicines and technologies to treat infants and children of their pediatric disorders all over the globe. Pediatrics is the branch of Medic*tion that incorporates the therapeutic care of newborn children, kids, and young people. A medicinal specialist who has some ability around there is known as a Pediatrician. The word pediatrics and its cognates mean healer of children. Pediatricians work both in hospitals, particularly those working in its sub fields, for instance, Neonatology, and as essential care doctors. Pediatrics is known as another advanced solution in the overall population today. Pediatric Dentistry is the branch of dentistry managing youngsters from birth through youth. Pediatric Dentalspecialists advance the dental health of kids and fill in as instructive assets for guardians. Youngsters are smaller than usual grown-ups, however they are not ready to dependably be patient and agreeable amid a dental exam, cleanings or even a few methodology. Childhood cancer otherwise called Pediatric Cancer is cancer in a child. Nonetheless, the meaning of adolescence tumor at times incorporates youthful grown-ups between 15–19 years of age. Pediatric oncology is the branch of Medic*tion worried about the conclusion and treatment of cancer in kids. The most well-known cancers in kids are Leukemia, cerebrum tumors, and Lymphomas. conventional care with blankets in preventing hypothermia?